I remember this rather distinctly. I arrived early at the Kuala Lumpur Sessions Court but since my client, the accused or more commonly referred to as the OKT (Orang Kena Tuduh), has yet to arrive – the police said he was on the way from the Sungai Buloh Prison – so I just sat at the back row of the bar table, waiting. The OKT’s family members were already sitting at the public gallery. Yep, you read that right. The learned defense counsel, prayed for hukuman sewajarnya for his client. The judge frowned. It was apparent that the deputy public prosecutor tried hard not to laugh, but she cracked a smile anyway. The court interpreter was no less amused. The police officer by the side tried as hard to remain stoical though he wasn’t as successful at that. And so were those in the public gallery – was there a giggle somewhere in between? The defense counsel, on the other hand, was simply clueless, his face as straight as a die. Did I say anything wrong? – was perhaps what he was thinking nervously. “Kamu nak mahkamah jatuh hukuman sewajarnya kepada OKT?” asked the judge. And it became really embarrassing when the judge had to actually explain the meaning of the word to the learned defense counsel, and bare in mind, this was in the complete presence of his client, the OKT, and not to mention, before everyone else in the courtroom, including the OKT’s family members who paid for the lawyer’s fee. It was a simple Malay word, not even close to being bombastic. When he prayed for hukuman sewajarnya, any ordinary reasonable person who knows the language would understand that it means he was asking not for a minimal sentence, but rather for a deservedly one, for the heinous crime committed. In other words, he was actually doing the prosecutor’s job rather than mitigating his client’s case. Sadly, though, this kind of anecdotal incident does not stand in isolation in our courts’ scenes. It happens all the time, almost everyday. Lawyers come to court, armed with the knowledge of the law, yet many a time they are simply ill equipped with the language of the courts. “Law is a profession of words,” wrote Professor Shad Saleem Faruqi in his column in the Star, “language is the essential tool of every legal enterprise.” How then could a lawyer argue and advocate his client’s cause without having the fluidity to converse effectively in the language of the courts? There is a need to pause here for a while, for I suspect some of the lay readers, should there be any, might already be wondering – what is this language-of-the-courts that I am talking about? Aren’t lawyers supposed to speak impeccable Omputeh and to use the Queen’s English in court instead of bahasa? Aren’t they supposed to be some sort of mat salleh trapped in the Asian bodies sort of thing – wearing the pompous bands around their necks, the snobbish robes covering their suits, and, yes, that ridiculous wig a top their heads? Why o why did the defense counsel in the foregoing anecdote spoke in bahasa – and a very bad one at that – and not in English like those barristers in England, the land of the supposedly enlightened white people? Aren’t our legal systems based upon the English common law and thus the language of the courts ought to be English as well? Nay shall be my short answer. An unequivocal nay for that matter. 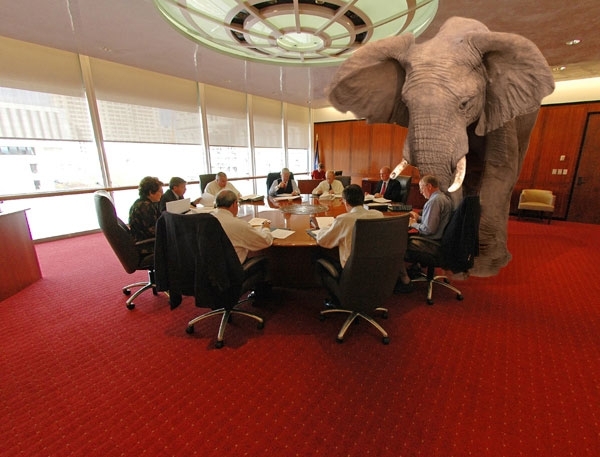 Now let us come to the elephant in the room. 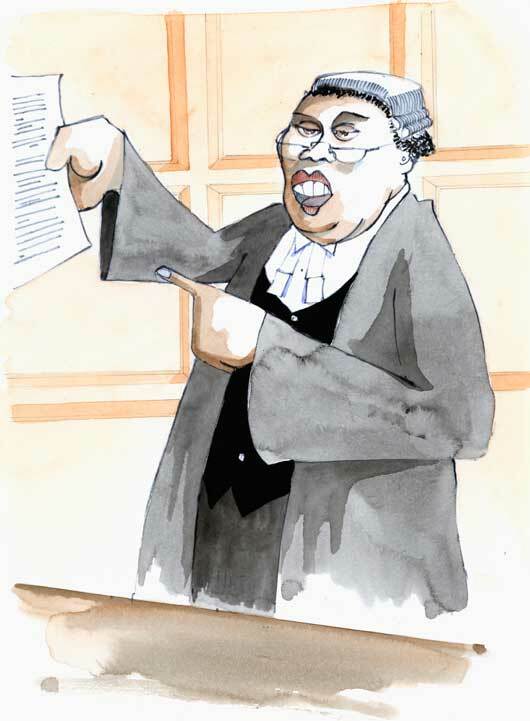 Despite the supreme status of the national language as enshrined under the constitution, the provision of which was thereafter articulated in the National Language Act, and further provided under our Rules of Court, the fact simply remains that many lawyers, if not most of them – and, oh, not to forget the judges as well – simply refuse to comply with this basic and fundamental constitutional provision. At best, perhaps, they may speak of the provision, yes, but they don’t actually put it into practice. And even if they wish in good faith to comply, like the learned defense counsel narrated above, they are ill equipped to do so. And the problem is this. Many lawyers, senior practitioners and old timers included, simply refused or conveniently omitted to acknowledge this very fact. They kept on complaining and whining about the poor grasp of the English language amongst the young graduates and junior practitioners. Yet they never even care to pause and contemplate upon the very fact that while there is no doubt that having a flair in the English language is an added advantage, it is however never a necessity legally speaking. Fluency in bahasa, on the other hand, is a necessity, it is a must, and if you don’t have it, you simply shouldn’t be practicing law at all, not in this country. For how else could you expect to conduct your practice effectively unless you have the ability to communicate in the language of the courts? Due to the refusal to acknowledge the foregoing fact, for a very long time now we have been witnessing outright infringements towards the provisions of article 152 of the Federal Constitution along with section 8 of the National Language Act and order 92 of the Rules of Court 2012, continuously and repeatedly, by the very persons who should have in the first place be the guardians of the law and constitution. That is, of course, nobody else, but the so called honourable judges and the pompous lawyers themselves. We see, for instance, Yang Arif Abdul Malik who on the one hand held the importance of using the National Language as the language of the courts, yet on the other hand wrote that very judgment itself in English! Yes, talk about walking the talk! And don’t even get me started with the Bar Council, who, so I heard, pride themselves for being the protector and savior of the various constitutional provisions, always on their toes to bark against any infringements – especially against the government – yet in their various circulars that were sent to their members, time and again referred to the national language as bahasa Malaysia, instead of the proper and rightly constitutional term, bahasa Melayu. You might think this petty – it’s only about terminology, you might as well add – but please bare in mind that this is coming from the very entity that claims to uphold the constitution impartially, without fear or favour, and without any political affiliation whatsoever; yet if you flip through the constitution from the first page to the very last, there isn’t any such reference to bahasa Malaysia! Bahasa Malaysia, if you aren’t already aware, is a political term coined by politicians to suit their political agendas. It has never been constitutional, for the national language has and will always be bahasa Melayu as prescribed by article 152. So there you go, talk about hypocrisy! And we have senior lawyers who simply refuse to submit and oblige dutifully to this position of the law, and repeatedly used the reason that “the justice of the case” calls for the use of English in courts, when, in reality, they are merely hiding their own deficiency in the national language. Talk about respecting the rules of law, shall we! It was, as it so happened, again in the Kuala Lumpur Sessions Court, but this time it was a civil matter rather than criminal. It was regarding a claim that has something to do with purported medical negligence. The counsel for the plaintiff was a senior and reputable member of the Bar, with, I believe, 15 over years of standing. I shall not name him, but believe you me, his stature and reputation is beyond question. He started off with questioning the witness in bahasa as required under the law. Yet, since he – the lawyer, I mean – kept on stumbling and mumbling and stammering and stuttering every few words, he then asked that he be allowed to proceed in English. “Adakah kamu setuju kalau saya katakan ‘standard of care’ itu di samping, hospital kerajaan juga kena samakan dengan ‘workload of patience’ perbandingan hospital swasta?” asked the plaintiff’s counsel – whatever he meant with that horrendously constructed sentence. “Saya tidak berapa faham bila ditanyakan dalam bahasa Melayu tadi sebab soalan peguam berbelit dan tidak memberikan sebarang makna yang munasabah,” came the witness’ reply. October 10, 2014 in Perlembagaan Persekutuan.